It was a bright and sunny Sunday afternoon when we met up with Janelle and Rodney for their Banff winter engagement pictures. 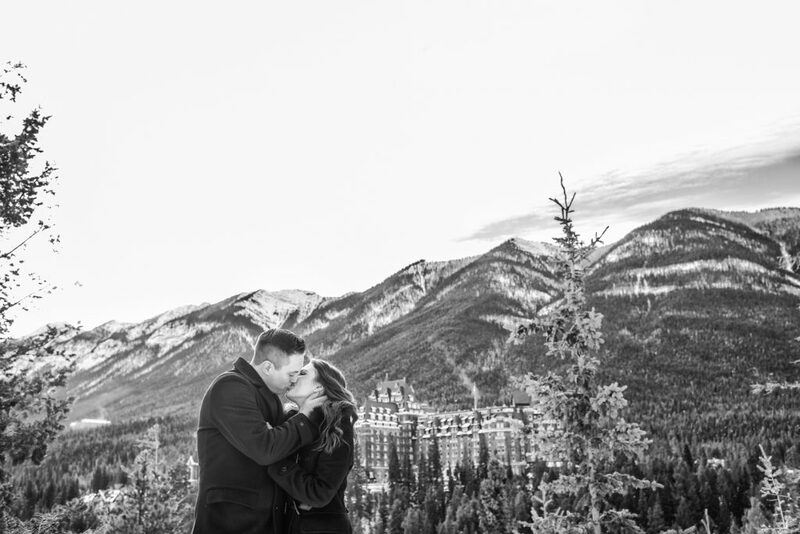 The Fairmont Banff Springs is stunning castle nestled in the rocky mountains and the perfect spot for romantic engagement photos. 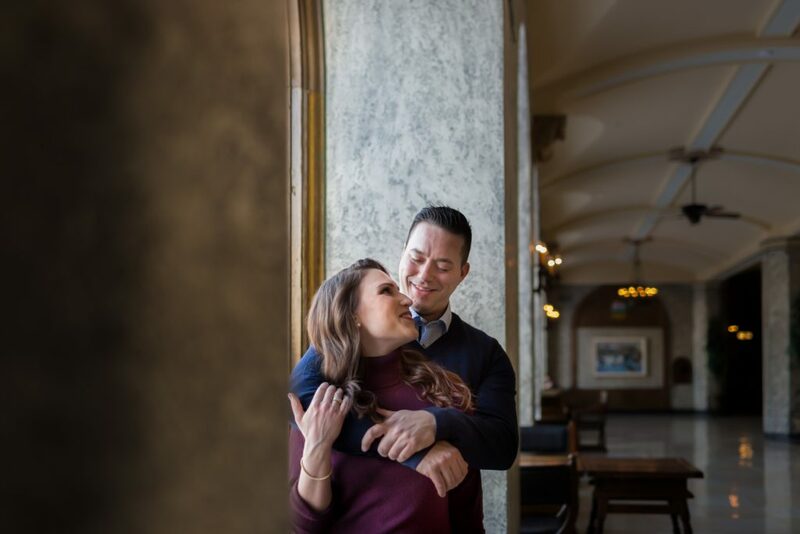 For Janelle and Rodney the Fairmont Banff Springs is more than just a hotel, it is their favourite location to escape to when they need to reconnect, recharge and relax. 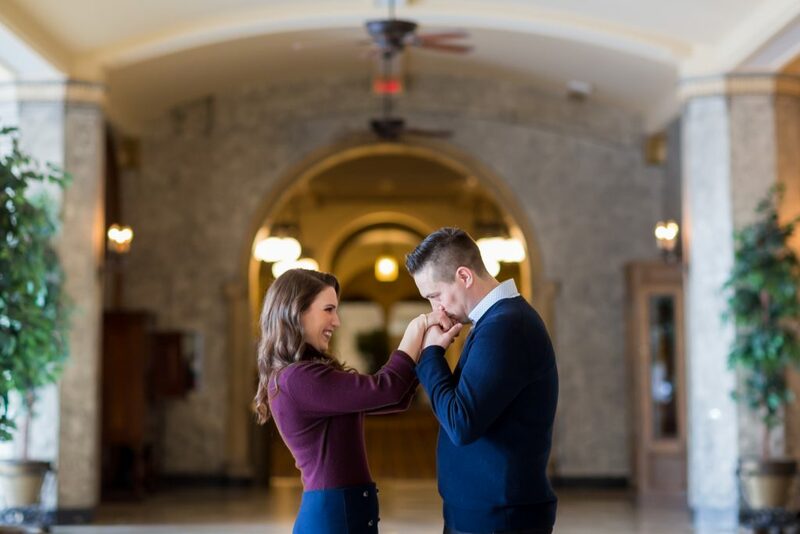 It was important to this couple to capture that connection. 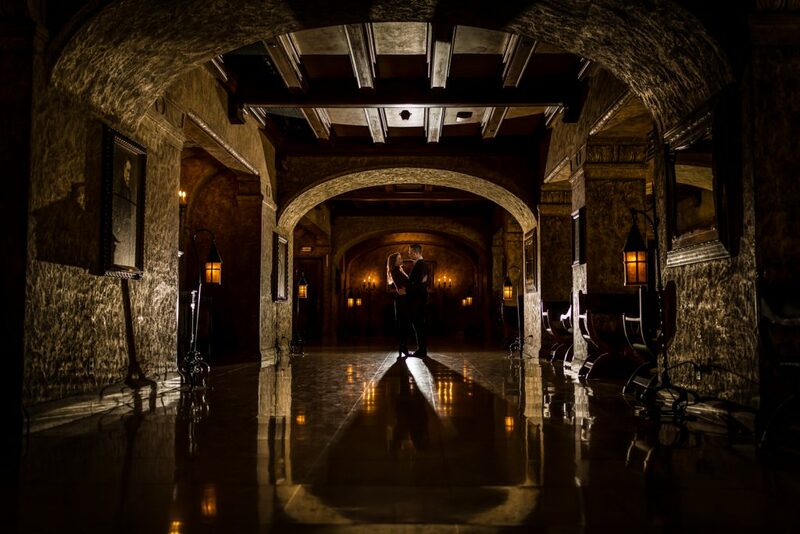 This grande hotel provides the most beautiful backdrop for romantic and dramatic portraits, both indoors and out. 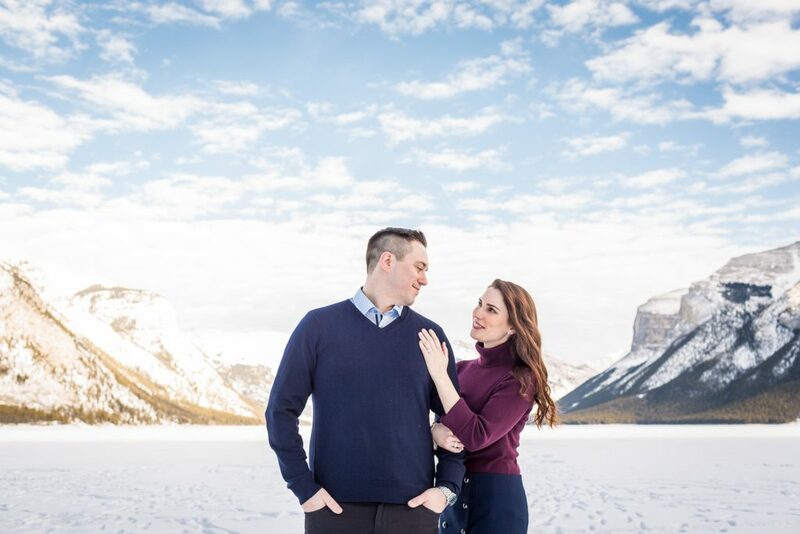 This adventurous couple wanted to take advantage of the gorgeous winter weather and the epic Canadian rocky mountains, so we ventured forth to find the best mountain views we could. 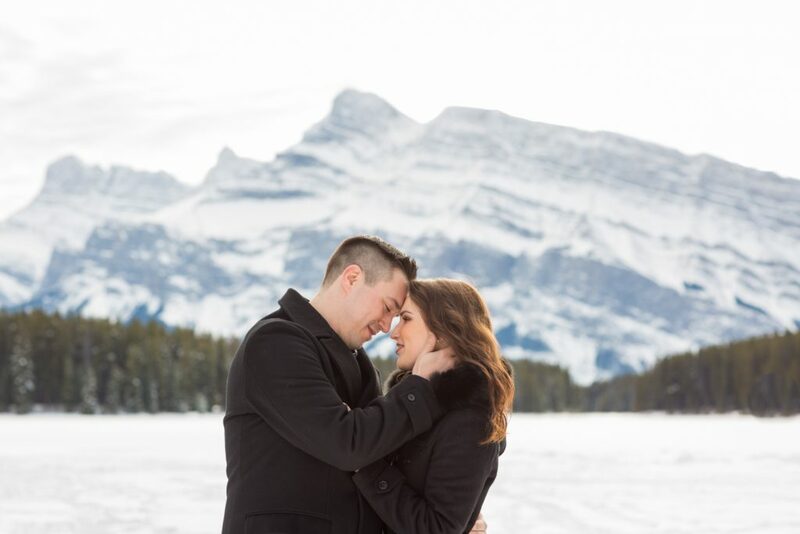 One of our favourite locations is Lake Minnewanka. 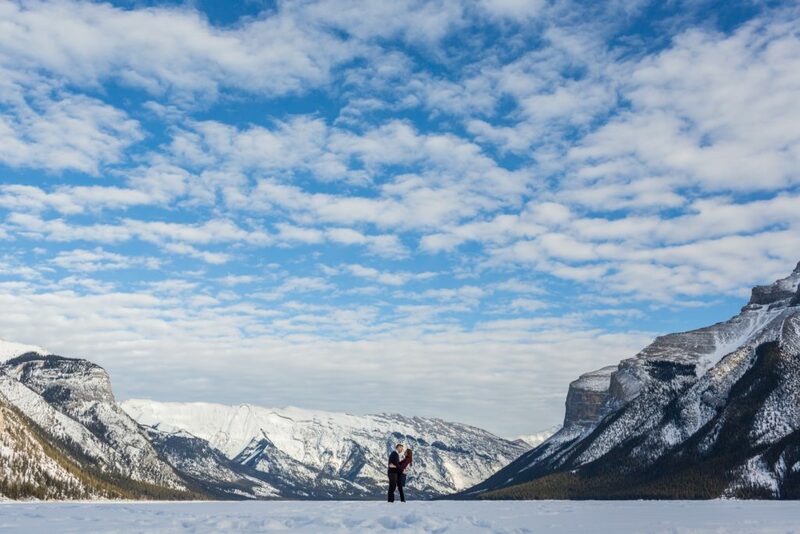 No matter what time of year, this mountain-ringed lake provides the most gorgeous scenery. We were not to be disappointed. 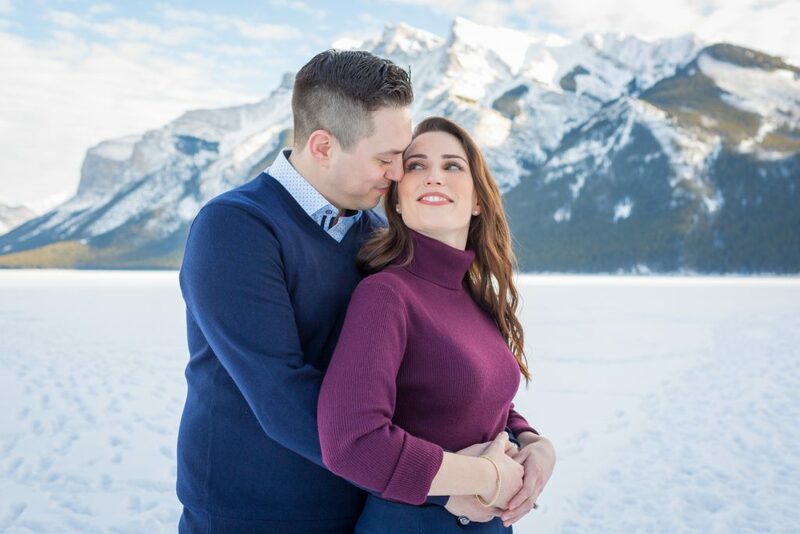 After a fresh snow fall a few days earlier, the snow across the lake was pristine white and the snowy peaks of the mountains shone brightly against the bright blue Alberta sky. 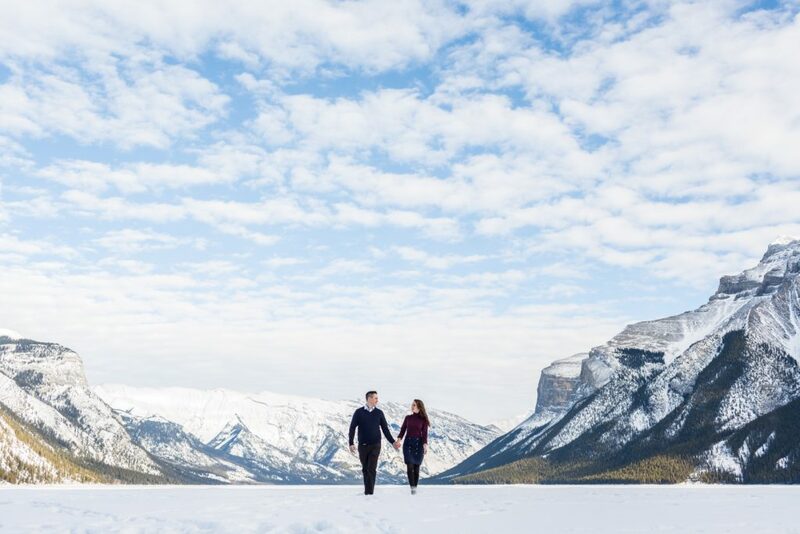 The scene looked almost too perfect to be real, but trust us this is one-hundred-perfect natural. We really do live in the most beautiful places on earth. 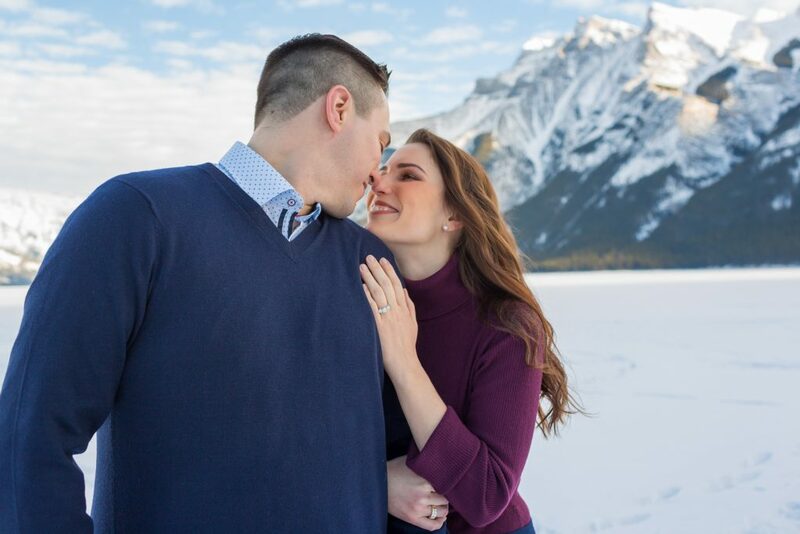 What better location for romantic Banff winter engagement pictures in the most beautiful place on earth, especially when you have a couple who is as adorable as this. 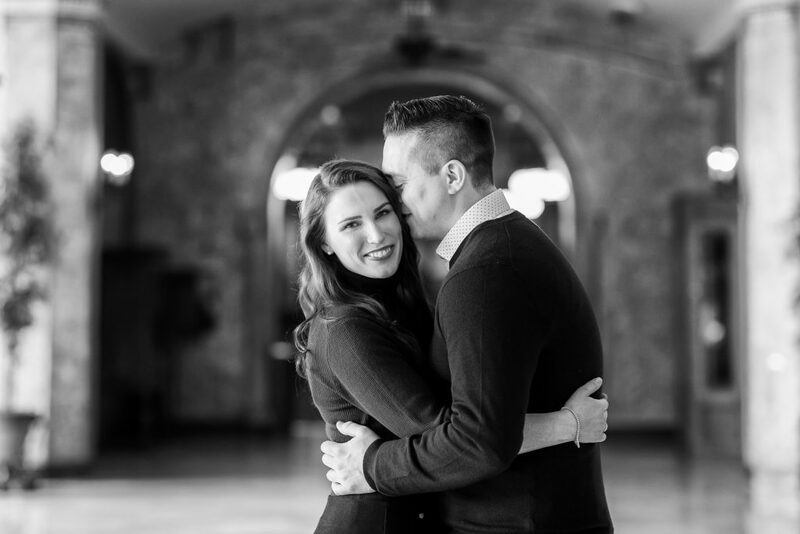 Janelle and Rodney, your love is rugged and tender, epic and grounded. 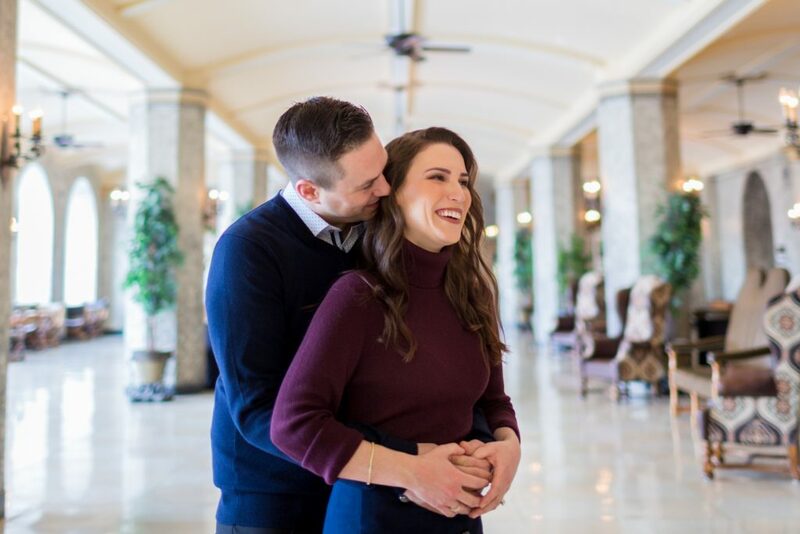 Thank you for an amazing adventure engagement session! 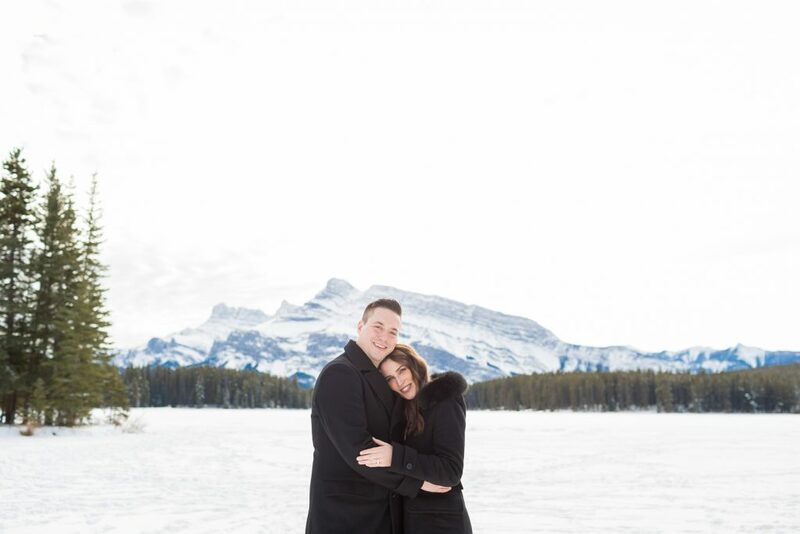 Thank you for inviting Deep Blue Photography to capture your Banff winter engagement pictures!